The Bronx is a diverse neighborhood. From beach side homes to suburban subway stops this borough has it’s share of flavor. Although it’s never been truly cheap to live in the Bronx, it’s certainly one of the more affordable areas to live. This is not due to an over abundance of space, however. Sorry hopeful New Yorkers, the real estate situation in the Bronx is still scarce. With Moishe’s Self Storage, we make sure that there is always an opportunity for extra space all residents of the Bronx can afford. While the Bronx is known for it’s rich cultural diversity, music, and general durability of it’s residents, it’s still New York City. That means apartment prices are extremely high, and even if you find a place you like and can afford you’re not going to have the space that you probably hope for. Consolidation is a way of life around here. If you’re living in or near the Bronx and you’re looking for a self storage facility you’ve probably seen the large list of options. We’re not the only self-storage facility the Bronx has ever seen. On one hand, we’ve been around for four decades. On the other, there are plenty of options other than us. However, if you’re looking for self storage facilities in the Bronx you can trust you’ve come to the right place. Our facilities across New York are all equal quality but that quality is the best that you’ll find in NYC. There are many reasons why. As we mentioned above, Moishe’s Self Storage has been around for a long time. We know how New York has changed over the last four decades, and we’ve grown with the city rather than beside it. 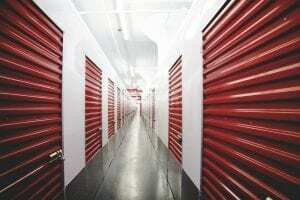 There are many self storage facilities present in NYC that are located across the United States. These companies aren’t tailored to NYC like Moishe’s is. For example, Moishe’s Self Storage has always been a company about providing storage for the people of NYC and the companies as well. We’ve crafted a storage facility in the Bronx capable of storing every type of property. Whether it needs specific climate control specifications, like wine, or simply dorm room furniture space; we’ve got you covered. Moishe’s knows the extent of the storage needs in the Bronx, and the city for that matter. We make sure that our storage facilities have security that you can count on. In fact, the most important aspect of any storage facility should be the security. That’s why Moishe’s Self Storage maintains a clean facility with the best security that you’ll find in the city. Every storage unit is guarded by a 24/7 CCTV security system, and a security crew. You’ll be able to store your property safely and with ease because our storage facility in the Bronx is open all day and night. No storage facility in the Bronx grants greater peace of mind than our Moishe’s Self Storage facility. Call us at (800) 536-6564 to contact a storage adviser directly. We’ll make sure you get in the storage unit of your choosing today. Our Bronx storage facility has residential and commercial storage available now, contact us to find your storage solution right away.